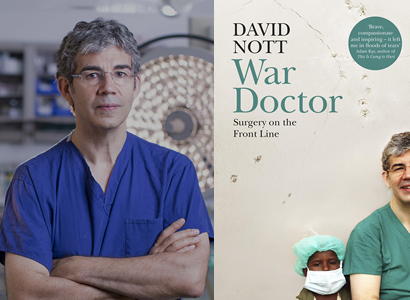 Join us for an evening in the company of David Nott one of the world’s most experienced trauma surgeons as he talks about his new book War Doctor: Surgery on the Frontline. We’re delighted to welcome David to Oswestry for what should be an inspirational event! Tickets: £8 (redeemable against a signed copy of War Doctor: Surgery on the Frontline). Tickets available from the bookshop, or purchase online (with booking fee).